Who doesn’t need extra hair accessories? It seems like I’m regularly losing my hair ties, and searching for one inside a pocket or my purse. Inspired by a previous craft, I searched for fold-over elastic and a few beads. Looking for materials is alway exciting and I love when I find exactly what I was looking for. For this craft, you will need fold-over elastic, geometric beads and nail polish or metallic sharpies. Wipe the beads with a paper towel or cloth. Choose a few nail polishes or metallic sharpies. You can use both. 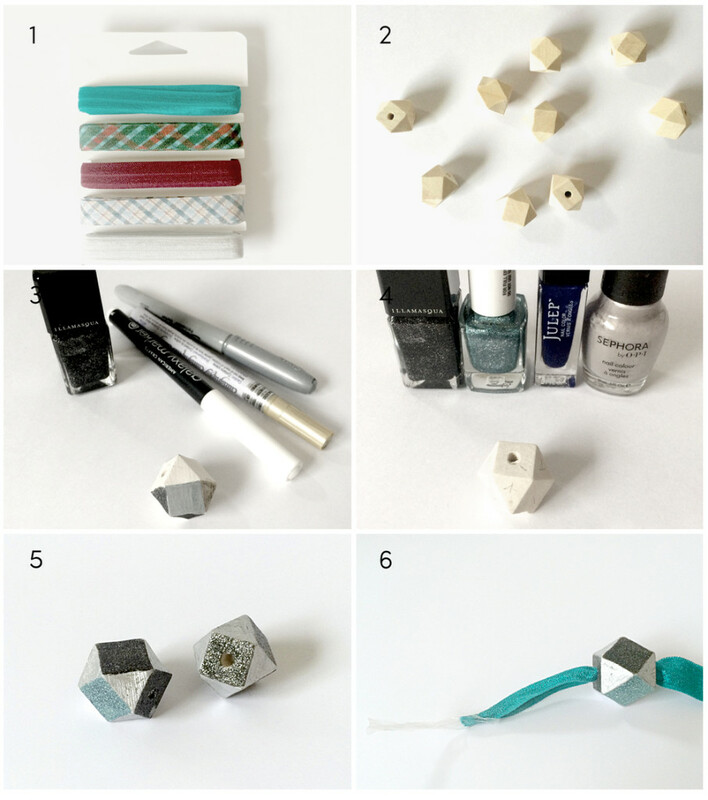 Apply nail polish to two opposite sides of the geometric beads. Wait for the nail polish to dry, before you start painting another facet of the beads. Cut 7 inches of fold-over elastic and tape one end with scotch tape. This will help the fold-over elastic to “get through” the small hole of the bead. 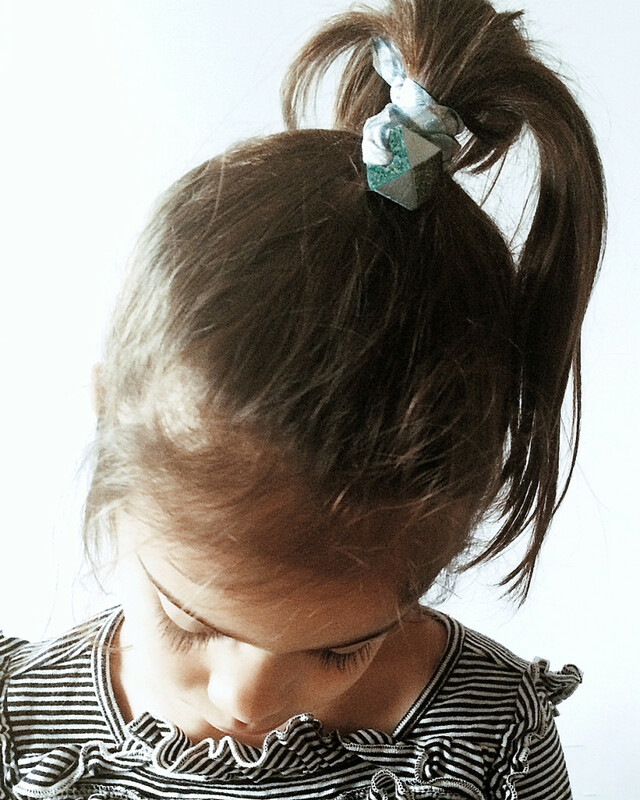 Finally, tie a knot at both ends of the strips and enjoy your new hair ties. Hello! Just linked to your party! So exciting to attend the very first one ;) thank you for the invite. These are too cute! I’m with, Kyla, and I hope you will share it tonight at the Found & Foraged linky party! It starts at 8PM CST. Can’t wait to see you there http://www.thebigrevealblog.com! Hello Grace, just linked up to your linky party :) Now off to check out some links from your page. Cheers and thank you for inviting me. I can see why Kyla and Grace were hounding you to come to our party…um, these are beautiful and your blog is amazing. Thank you so much for linking up!! Awww you just made my weekend! Thank you! I am so glad you linked this up! I love it! See you next week, Ursula! I was wondering how you tolerated spraypainting each side, but fingernail polish is genius :) Thanks for sharing at On Display Thursday! !